On Opening Day April 18, 1923, Babe Ruth walked into the recently built Yankee Stadium in New York and said "I'd give a year of my life if I could hit a homerun on Opening Day of this great new park." And he proceede d to do just that. 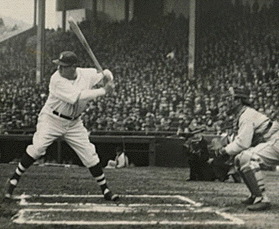 Fittingly the first home run hit in the first game in the new Yankee Stadium came against Babe’s former team the Boston Red Sox. Even more fitting Ruth’s three-run blast gave the Bronx Bombers a 4-1 victory in front of a record 74,200 mostly-Yankee fans - an amazing number given that previous attendance record for a single MLB game was 42,000 for the 1916 World Series in Boston. As a response to Babe's opening day homerun, sportswriter Fred Lieb referred to Yankee Stadium in his column as "The House That Ruth Built". After slamming 40 long balls at the age of 39 in 1973, he stood on the threshold of breaking a record few thought would ever be broken. 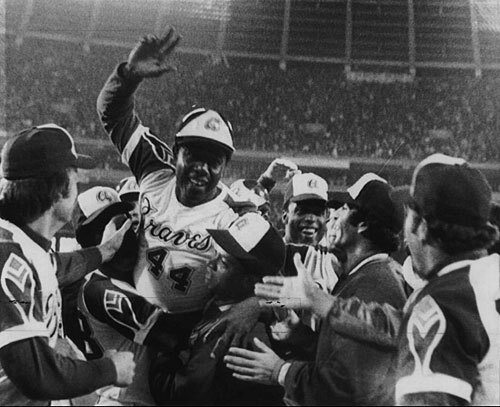 But when the last game of the ’73 season was in the record books – Aaron still wasn’t, having ended the season just a single home run shy of tying Babe Ruth’s long-time record of 714. 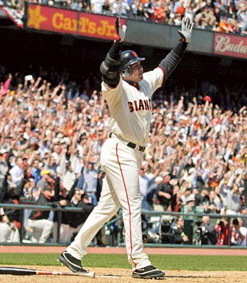 After hitting homers in five straight games to gain membership into The 500 Home Run Club in April 2001, Barry Bonds hit two homers on Opening Day of the 2002 season. He also crushed two more the next day, to become the first player to hit two in back-to-back games at the start of a season. He went on to surpass the 600 home run mark on August 9th of that year.